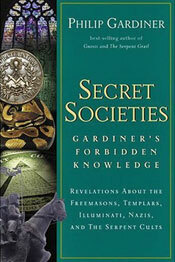 Philip Gardiner author of The Shining Ones, The Serpent Grail, Gnosis: The Secret of Solomon’s Temple Revealed, Secrets of the Serpent: In Search of our Sacred Past and Proof: Does God Exist? This is the tale of one of the earliest of all origins of secret societies, and from where is derived much of the terminology and symbolism still used today by the Freemasons, Rosicrucians and many others. It is the tale of the Watchers - otherwise known as the ‘sons of God’ and in Hebrew as Eyrim (Irim). In doing so we shall be taking a look at the very origins of the first secret societies and the influences of astrotheology and serpent worship upon them. We must first turn to Sumeria. “The Akkadians called their predecessors Shumerians, and spoke of the Land of Shumer. It was in fact the biblical Land of Shin’ar. It was the land whose name - Shumer - literally meant the Land of the Watchers. So Sumeria could mean ‘Land of the Watchers’, and it is from this Land that the Elohim or Shining Ones who governed the Watchers also came. This is the land of origins and the governing gods. “Throughout Mesopotamia, from the earliest times of Sumer and Akkad, all lands were owned by gods and men were their slaves. Of this, the cuneiform texts leave no doubt whatever. Anybody who has seen Stargate will now see just where this modern TV show first got its ideas. So let’s just take a look at these Elohim for a moment to find out who these ‘gods’ were that supposedly enslaved men and were in charge of the Watchers. The term used often in the Old Testament (and other texts outside of it as in the Muslim Allah = Elah) for the Lord. This is an incorrect usage, as the term is plural and means ‘Shining Ones’. We can see this plurality in the text from Genesis 1:26: ‘And God said, Let us make man in our image, after our likeness.’ And again in Genesis 6:2 ‘The sons of god saw the daughters of men that they were fair..’ This term ‘sons of god’ is literally ‘sons of gods’ and comes from ben ha-elohim, ‘sons of the shining ones’. The term in fact seems to have spread around the globe with man in his very language. ...to name just a few that have sprung up worldwide from the same Sumerian source. Baal, the deity often spoken of as the ‘Lord’ in the Bible, is also seen as a shining one in the Old Testament and is called the Owner. At that time there were many ‘Owners’ or shining ones, in fact there was one for each village. These are the governors of men. To the Hebrews the Elohim were nature divinities from ancient Sumerian times. According to General Albert Pike, the famous Masonic Historian, in Morals and Dogma, the Elohim were the ‘host of heaven’, ascending and descending to pass messages to and from god or the leader (Yahweh.) The host of heaven were of course the stars in the night sky humanized. Some of the shining ones were termed Watchers and are akin to the angels of the Lord. Yahweh Elohim means simply ‘leader of the shining ones’. So, now we have these plural Elohim or shining ones as gods being above even the kings and supplying Watchers - to watch over man. The Egyptian Ta Neter that Sitchin mentions resembles the Egyptian Ntr, a name for the father god Ptah and other gods and which means guardian or watcher. Ta-Neter is also the name for the Red Sea straits, which connected Mesopotamia and Egypt and is known as the place of the gods. The Neter or Ntr word means and is derived from the concept of neutrality and is simply the place between, the path between the pillars or the place between awake and asleep and is the neutral state an adept must enter to discover himself and access the ‘shining’ enlightenment. The stark fact of the matter is that in the same way a Pharaoh of Egypt was a god-on-Earth, so too priests of the Elohim (stars) were stars-on-Earth. We should note at this point that this Ur is the same place that the Father of the world’s three great religions, Abraham, is also said to have trained. According to The Legend of Votan (note similarity with the Nordic Wotan and who is said to have come from across the sea) from Mesoamerica, this Votan was the serpent who was a descendent of the race of Can and was called a guardian or watcher, amazingly similar to Canaan as such people as Zelia Nuttal in Papers of the Peabody Museum has suggested. Vulcan - sounding like Votan and Wotan - the Roman god of fire, comes from the Babylonian Can for serpent and Vul for fire, showing an etymological link across thousands of miles and meaning therefore that Vulcan is the shining serpent. Indeed even the very center of the Christian world, the Vatican, comes from the words vatis for prophet and can for serpent, making the Vatican a place of serpent prophecy. The Hebrews termed these Watchers as nun resh’ayin meaning ‘those who watch’. In the Greek this is translated as gigantes or giants, a race that even the 907 BC writer Hesiod featured as being monstrous (due to their serpentine aspect no doubt.) Now we can understand the role of the giants  that are seen across the world of folklore as the presence of the Watchers! “And these are the names of the holy angels who watch. Raphael, one of the holy angels, who is over the spirits of men. Raguel, one of the holy angels who takes vengeance on the world of the luminaries. Michael, one of the holy angels, to wit, he that is set over the best part of mankind and over chaos. Saraqael, one of the holy angels, who is set over the spirits, who sin in spirit. Gabriel, one of the holy angels, who is over Paradise and the serpents and the Cherubim. Note that Gabriel, the messenger who told of the birth of Jesus and who passed on wisdom to Mohammad, is in charge of the serpents. Remiel is over those who rise - those seeking enlightenment. “I asked them, ‘Who are you, that you are thus empowered over me?’ They answered me, ‘We have been empowered and rule over all mankind.’ They said to me, ‘Which of us do you choose to rule you?’ I raised my eyes and looked. One of them was terrifying in his appearance, like a serpent, his cloak many colored yet very dark. The Mosaic Book of Jubilees, was originally called the Apocalypse of Moses as it was supposedly written by Moses whilst on Mount Sinai and dictated by a watcher or angel. These Watchers, according to the Book of Jubilees are the sons of god spoken of in Genesis sent from their heavenly abode to instruct men. What seems to have occurred is that they fell from grace by mating with the daughters of men and were thus outcast - giving us the fallen angels we are familiar with today. However, according to A Dictionary of Angels, not all these Watchers descended from the heavenly abode and were termed holy Watchers, residing in the fifth heaven. According to Andrew Collins in From the Ashes of Angels - The Forbidden Legacy of a Fallen Race, the fallen Watchers swear an oath and bind themselves together. The place of this action is called Ardis, the fabled summit of Mount Hermon, which derives from the Hebrew word for curse (harem). Following these actions of the fallen Watchers the shining ones called down a great flood upon the earth to destroy the offspring and Noah is warned to build a great ship to escape the impending doom. There was obviously some great battle between the dissenters and the shining ones and the loyal Watchers, which gave rise to Michael, Gabriel and the others to slay the remaining fallen Watchers. The flood is the symbolic idea of the later cleansing of the land (and mind) and the restarting of the human race (or self) on track with the shining ones ideals - a probable merging of a folk memory of some great catastrophe and the actual event. There were other catastrophes written up as being the judgment of the remaining Watchers, which must simply be folk memories of actual catastrophes that occurred and were blamed upon the transgressions of the fallen Watchers. Notable revelations admitted by the Watchers to the sons of man were knowledge of the signs of the earth, writing, meteorology, geography and geodesy - all implying that these shining ones understood the energy and power of the earth and its electromagnetism, not to mention the movements of the planets. There are many fables of these times from across the world of great builders, architects and magicians all relating entirely back to these shining ones origins. Much of this myth of the Watchers is found to be within the tales of wars and merging of peoples across the Middle East - between Canaanites, Egyptians, Sumerians and even Asian civilizations. But, the underlying current is a belief in the Shining Ones as leaders, with Watchers doing their bidding - evolving into God with his Angelic beings. We know that mankind deified the ‘men of renown’, the same Anunnaki/Anakim to whom this refers and therefore we know that these shining ones were mere men - the difference being that the state of illumination (shining) had set them apart. The term Anunnaki, Anakim and even Nefilim means ‘those who came down to earth from heaven’ and is a reference to their position and location on the plateau of Eden (Eden means plateau). They looked down on the people below - watched. They represented the sun, moon and planets on earth. It does not, as some would have us believe imply that they came from the stars, but were representatives of the celestial deities. The truth of the story of the Shining Ones and their Watchers has been the subject of a purging by many Jewish authorities, who were understandably concerned that the myths of these angels and their worship would detract the people from the worship of the one god. With this end, the Book of Enoch and the Book of Jubilees mentioned above, were stricken from the accepted list and are now known as Apocrypha or Pseudographa. What we do know though, is that these Watchers continued in what has been described as the underground stream and were called egregors. “The Kabbalah names 72...national angelic regents, which the Hebrews call Elohim [Shining Ones]; the metaphysical technical term Egregors is also used for them. Derived from the Greek word egreoros, it means ‘watcher’ or ‘guardian.’ The office of a Watcher is to protect from outside pressures a region or ethnic group assigned to its care. The region is always measured off from another posing a threat of some sort to it. A given group of persons (the group of those being protected) is ‘tied’ to a certain area of jurisdiction....Here, too, we meet the ‘riddle of the founding of cities and states....’ What is more, both the ancient Romans, and quite recently the Chinese, have recognized the existence of guardian spirits set over cities. The term is Greek and means to ‘rouse from sleep’, be ‘excited by passion’, to ‘be awake’ or ‘to watch’ - incredibly etymologically linked to the enlightenment experience of the awakening or the place between awake and asleep and therefore knowledge of the unconscious world. The root of the word appears to be the Syrian ir or er, and reverts to Watcher and is also related to Ur, the home of Abraham. It also became a Gnostic and mystic term thought to mean ‘collective unconsciousness’ but linked with the Watchers by M. Denning and O. Phillips in The Magical Philosophy. Levi also calls these egregors the Anakim (shining ones, men of renown, giants) of the Bible and that they are expressed in the myths of various cultures - just as we have been finding. It therefore appears that Levi (and others) knew of these egregors or Watchers from the recently translated and widely (in mystic circles) available Book of Enoch. Levi was well known to have Rosicrucian tendencies and this movement too was aware of the meaning of the word. In fact they believed that the egregors were still in existence and were in the background. There are a whole host of 16th and 17th century mystics, including Dr John Dee, who were also aware of the Book of Enoch and plagiarized it extensively. In fact Dee has been implicated as one of the founders of the Rosicrucian’s as well as being a spy of the realm under Queen Elizabeth. All of this brings to mind the texts taken down by Dee and his cohort Edward Kelly that were dictated by Angels! These texts surprisingly deal with the ‘old ones.’ Some of the texts came into Dee’s possession (and were therefore not given by angels) whilst he was in the service of Rudolph II in Prague. Amazingly, the infamous Necronomicon tells us about a ‘fabulous city of Irem.’ Irem of the Pillars is part of Arabian magical lore and was built by the Jinn or Angels and were possibly also Watch Towers - ‘towers of the Watchers’. The Hebrew Erim means to awaken. The Pillars were built on the instructions of the Lord of the tribe of Ad (meaning eternity), who are referred to in Hebrew terms as Nephilim - the giants or Watchers of the Shining Ones and referred to in the Book of Enoch as Irim. According to Arabian legend this Irem is located in Rub al Khali, which means the empty quarter or the void. The void could be a real barren location or a term for the neutral state of mind aimed at by the adept. Archaeologists have though identified the very spot of this infamous Irem as being the lost city of Ubar. This is none other than Hermes Trismegistus , the thrice great Hermes, whom all mystics hold in high esteem as having passed down ancient and profound secrets and who is seen as the father of almost all Western secret orders. We also have here evidence that the Book of Enoch was understood as far back and as late as the 13th century. Whether or not the Shining Ones, Watchers or egregor were actually physically around during this vast expanse of time is obviously the subject of debate, but what this does show, is that the ancient influence of the Shining Ones was certainly still in existence. The Thesaurus Temporum translated into Latin in the mid 17th century even gives us a chronology of events surrounding these egregors. In 1000 BC they descended (primus egregorum descensus) and by 1487 BC they had taken Enoch to Paradise (Enoch transferatur in paradisum) due to the dissent of the fallen Watchers. It seems then that the extremely ancient concept and story of the Shining Ones was still very much alive and being propagated secretly by the mystics of the last few hundred years. These were very much part and parcel of their hidden secrets. The question arises, why did they feel the need to hide such secrets? from Letter to a Brazilian Mason Unexpurgated. from Yesidism, Zoroastrianism in Western Secret Societies. What we can see here then is the extent of the influence of the first origins of secret societies, both in culture and texts. These Shining Ones are the first on paper. They have a structure and a basis of authority. They rule over man and are all-wise, having their ‘Watchers’ to ensure that their instructions are carried out. Either the Shining Ones are still in power now generations later, or the secret societies of the globe have copied the methods, structure and symbols of these first few. The great religions of the world have all been created by some secret method, which we now know to be the generative cause of religion - the enlightenment process. This enlightenment process mirrored the heavens - it was the internal shining, the bright light of illumination. It was the inner sun, the light of the father within our own mind. Those who shone were elements of the sun on earth, utilizing the inner solar energy to access the knowledge base of the unconscious world. In this way they were truly the gods of men.